← Spring Brings Beautiful Butterflies in Arizona! La Posada Hotel in Winslow, Arizona is one of the most famous of the Santa Fe Railroad stations designed by the renowned architect, Mary Elizabeth Colter. Mary’s design inspiration, from the landmark “El Tovar Lodge” at the Grand Canyon to La Posada Hotel, starts with an imaginary family she invents and then designs the house around their lives. La Posada was the estate of the Spanish Land Grant holder, Don Alphonso de los Pajaros. Each section of the home and garden was carefully placed to show the personality and life transitions of the mythical Don Alphonso. 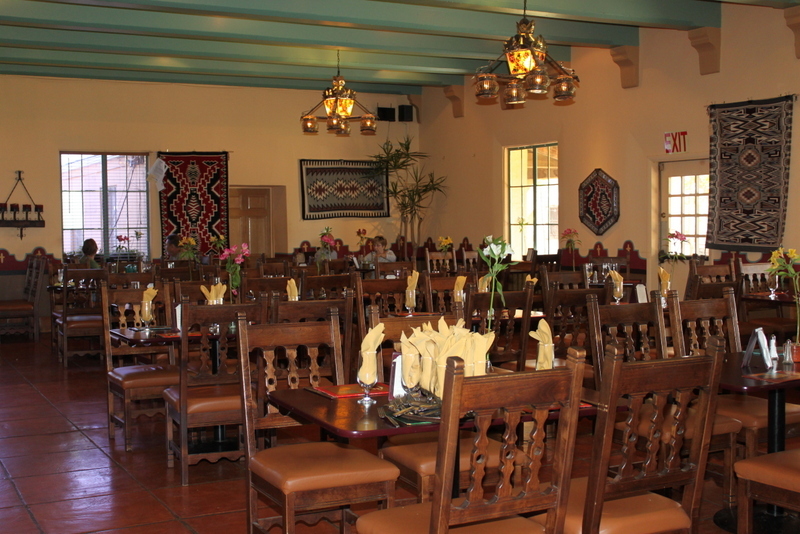 The Fountain Hills Historical Society presents John Sharp, who created the Turquoise Room at the La Posada Hotel in Winslow, Arizona. He will enlighten members and guests of the Historical Society about the hotel that was built in 1929 by the Santa Fe Railway for the Fred Harvey Company. Harvey, who “civilized the west” by introducing impeccable service to railroad travel, eventually controlled a hospitality empire that spanned the continent. His “Harvey Girls” became legendary as a kind of forerunner of today’s “Flight Attendants,” fulfilling the roles of maid, butler, and waitress for the Santa Fe Railroad passengers. 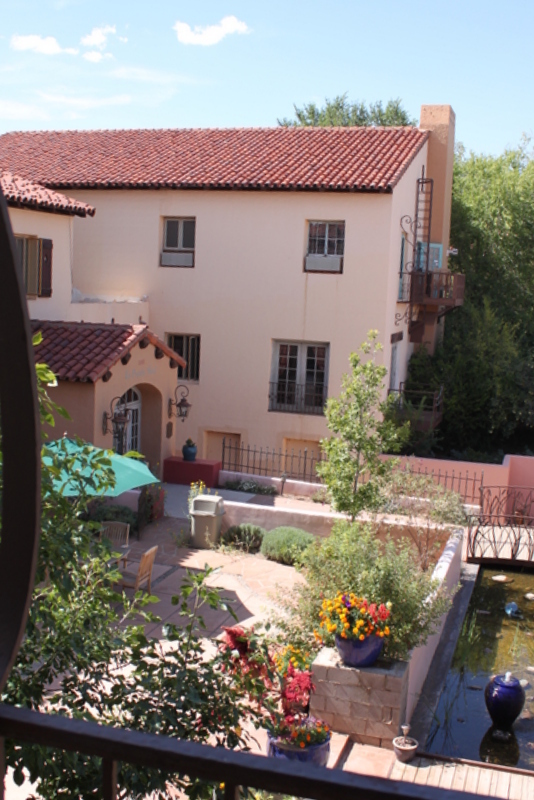 Renovation of the hotel, the grounds and the Santa Fe Train Station began in 1997, and the results are incredible. Furniture for each room is custom made, and reflect the craftsman techniques of the 1930’s with a nod to Don Alphonso. 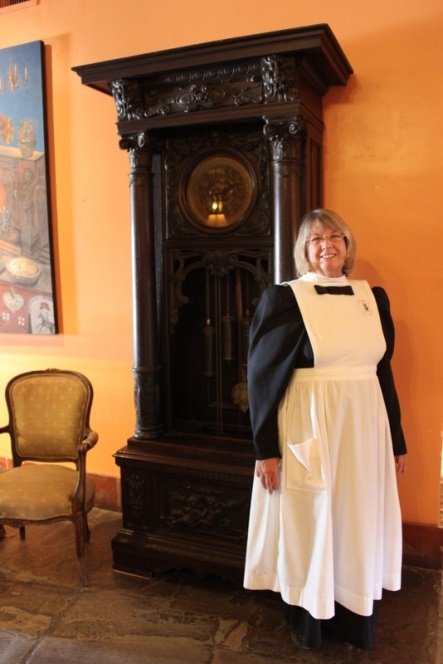 Enjoy the camaraderie, great historical insights and dinner while learning all about the La Posada Hotel, the Turquoise Room and the Harvey Girls. This entry was posted in Area Events, Arts, Culture, Schools & Clubs, Dining, Libations & All Things Foodie and tagged Fountain Hills Historical Society, Harvey Girls, La Posada Hotel. Bookmark the permalink.